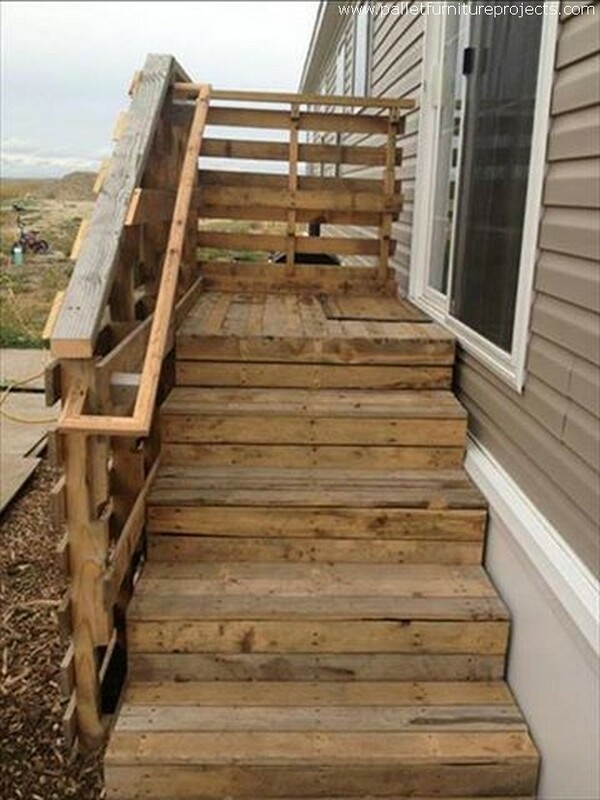 This distinguished platform has got its own status and class in bringing you guys some ever new wooden pallet recycling inspirations. 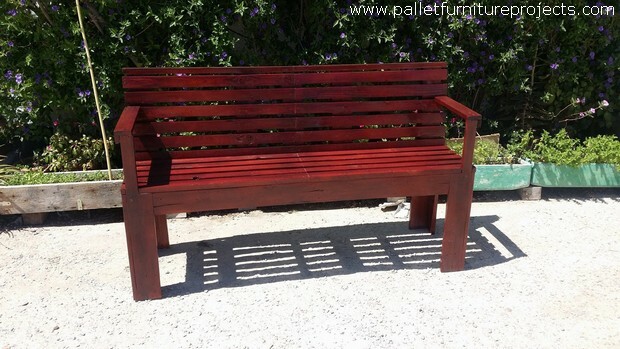 As we mainly focus on just basic plans and designs, so very rarely do we resort to bringing some DIY ideas and projects because this is the place dedicated to the wood pallet crafters who are already doing well in the wooden pallet recycling. 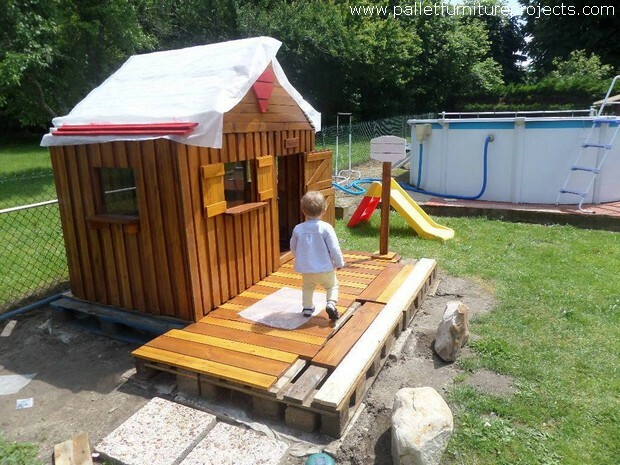 Here are 20 more inspiring pallet projects that can literally change your lives or atleast make your surroundings much better and a place worth living in. have a look on them and make your mind to grab one for your place. 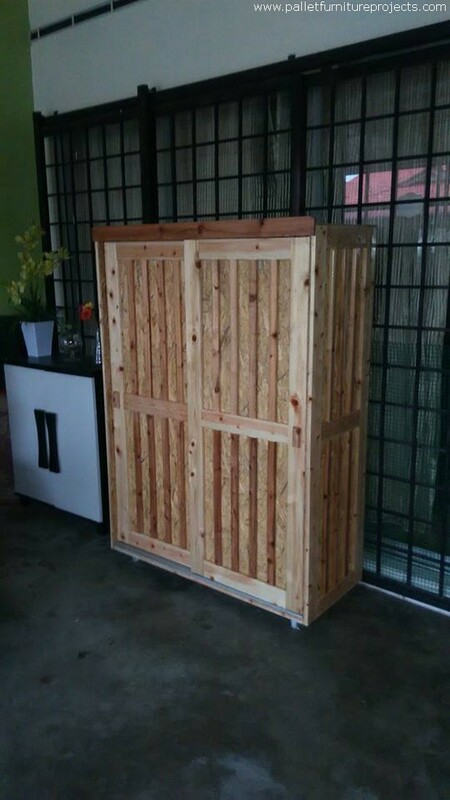 This large wooden pallet closet made with some extra ordinarily fresh shipping pallets is made with general intention. This means that we have left it upto you to decide that where exactly you want to use it. This is a storage hack giant so make the best use out of it. Some wood pallet upcycling projects are just meant to utilize the left over shipping pallet planks that were pretty broken, so here we used them in doing this wooden flooring where some randomly sized pallet planks can be seen on the ground. Don’t confuse this LCD holder with the wood pallet wall cladding. This is a large backdrop made with the wood pallet, and this is a perfect remedy that would ensure the safety and security of your expensive device that you bought against thousands of bucks. Wow, this official set up is pretty luring for the officials, we have so many times focused and emphasized on the commercial and formal use of the shipping pallets. 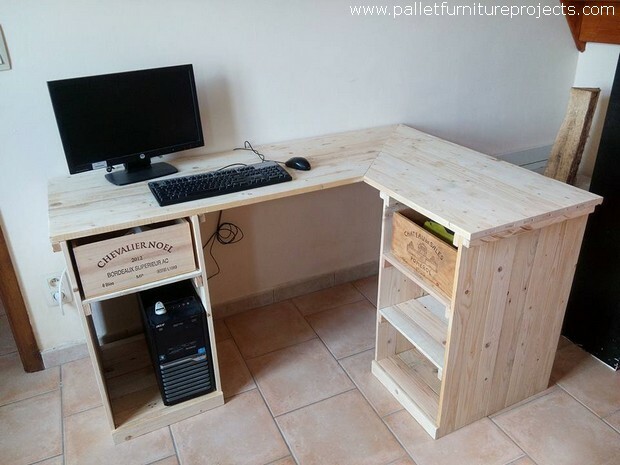 And this is our supporting product, this wooden pallet computer desk is an ideal installation for every office as it provides a pretty formal atmosphere for some good official work. 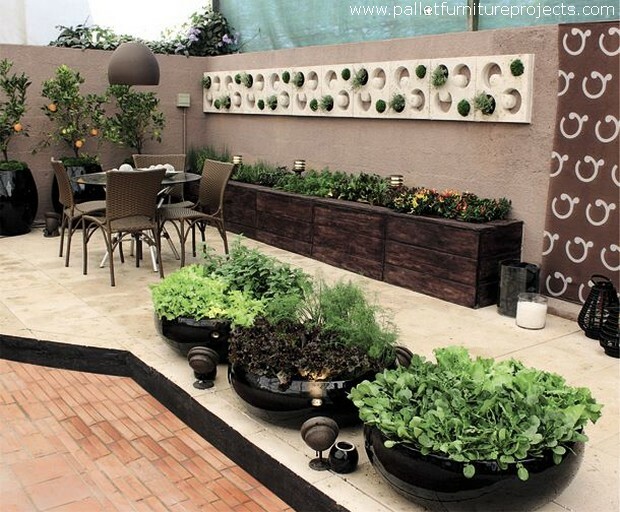 A raised garden is something that is always welcomed by the gardening lovers. This brings along so many potential benefits as it is economical in cost, it allows you all kind of plantation and supports the planting of different herbs and shrubs to the max. 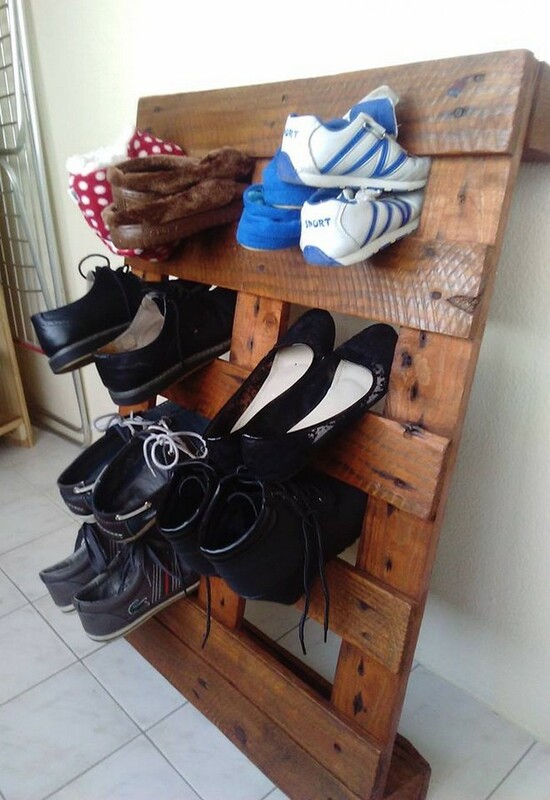 What would you say about this crazy wooden pallet shoe rack? Well pardon me for the design as this was just one quick and easy wood pallet project inspiration. We just did some fine sanding on a whole shipping wood pallet and erected it adjacent to the wall. Each space inside could best be used for the shoes. Making some gardening related projects with the wood pallet is a very vast and comprehensive subject. 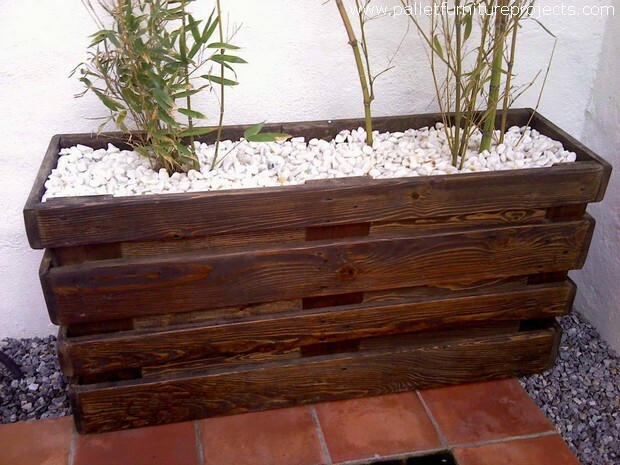 The products that we recycle with the wood pallet especially as planters can be used in multiple ways. 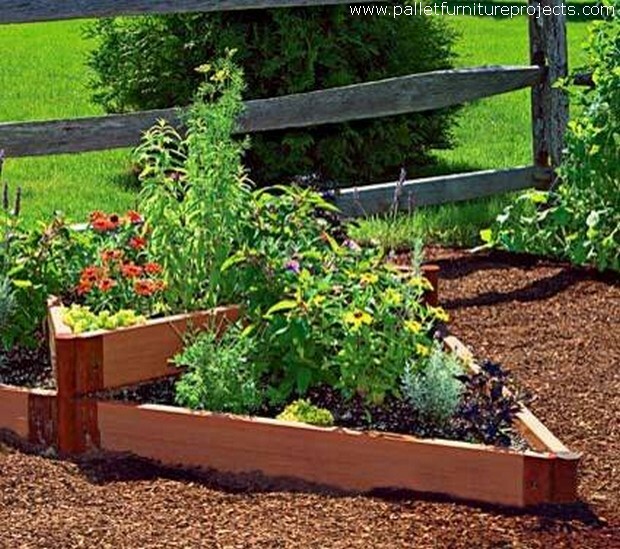 As this wooden pallet upcycled planter could also be used as a decent raised garden. The kids of this generation are just too choosy and moody in the selection of their accessories and they are never ready to compromise on some less superior thing, they always want the best. 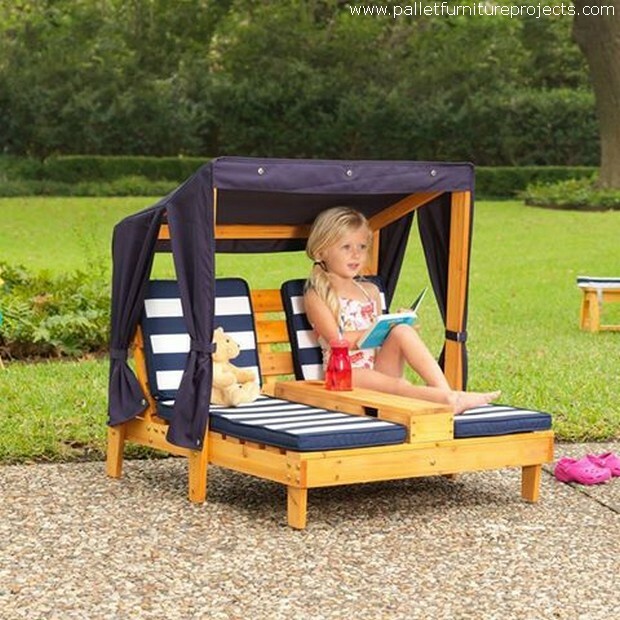 So this wood pallet kids lounger is a surprise gift for your perfectionist kids. 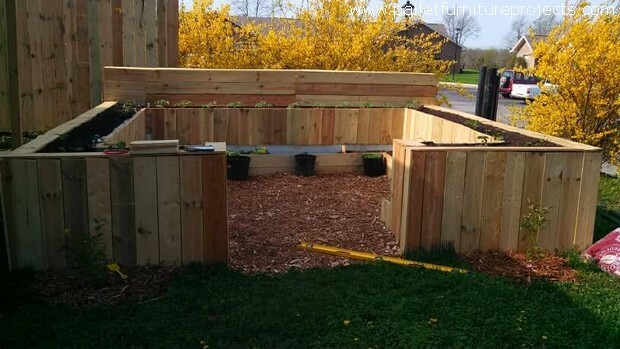 This raised pallet wood bed garden was made inside a green landscape. This enclosed wooden area was meant to be a safe heaven for a number of plants and herbs that you couldn’t plant along with the rest of common annuals due to certain technical reasons. 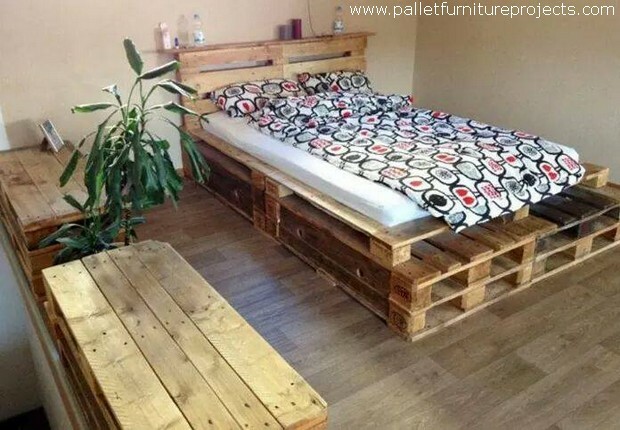 Making a wood pallet recycled room bed is something encouraging for the beginners because we strive to keep the ideas so simple and handy. And this is pretty evident from this wood pallet inspiration where the simplest pattern is used in making this wood pallet room bed. 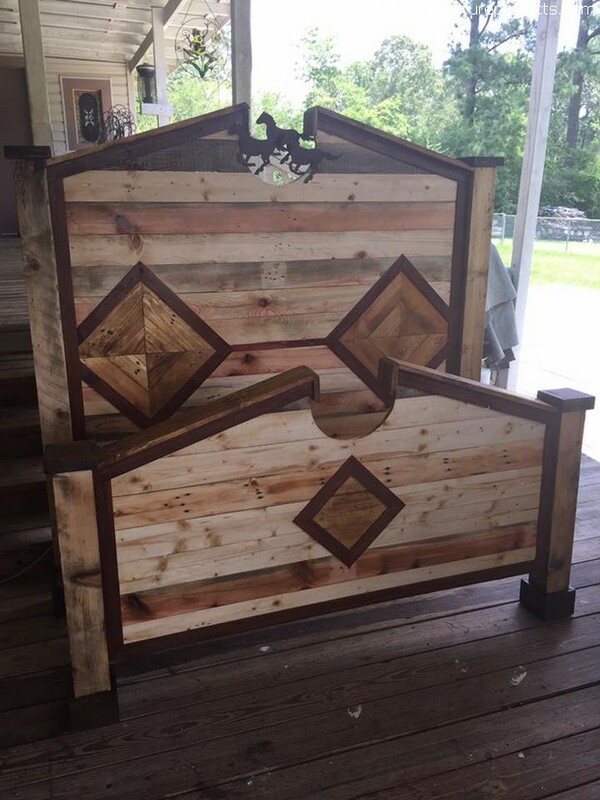 Well, ponder on this great pallet wood creation. 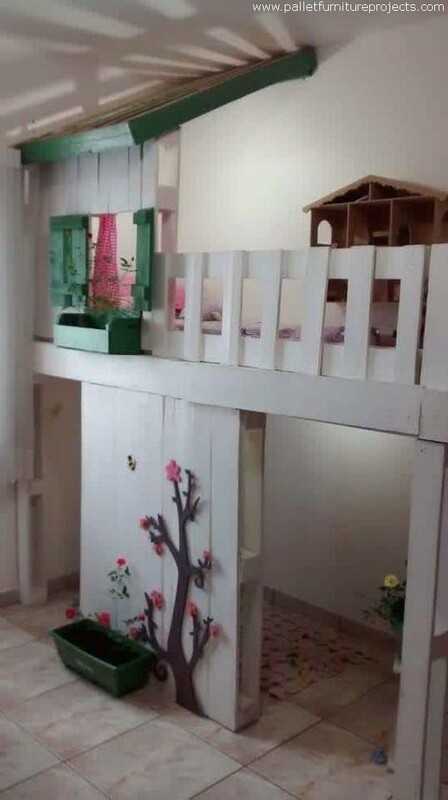 This isn’t a mere kids bunk bed but also a comprehensive plan where we have also provided a kids fun area where they can play along with the siblings and the friends. 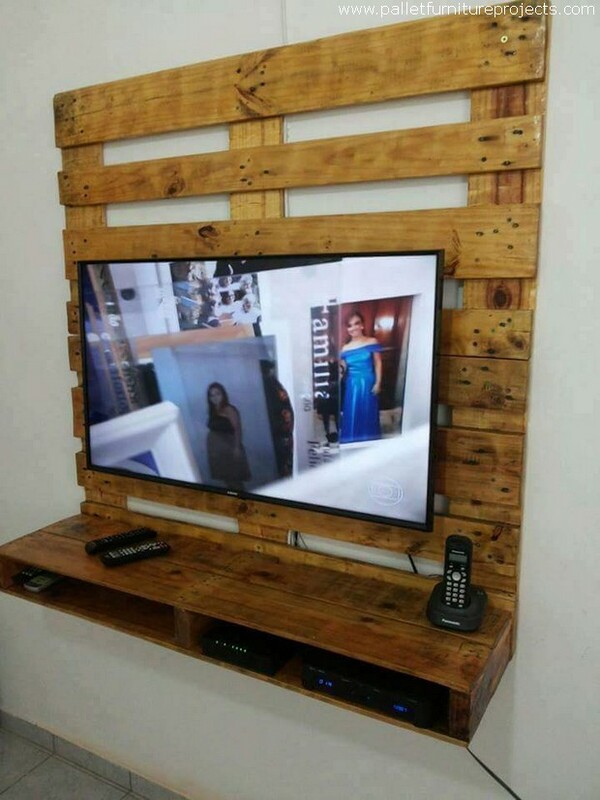 And the credit goes all to the wooden pallet recycling inspirations. Ok, take a deep breath and then start counting on this rustic pallet wood furniture range. 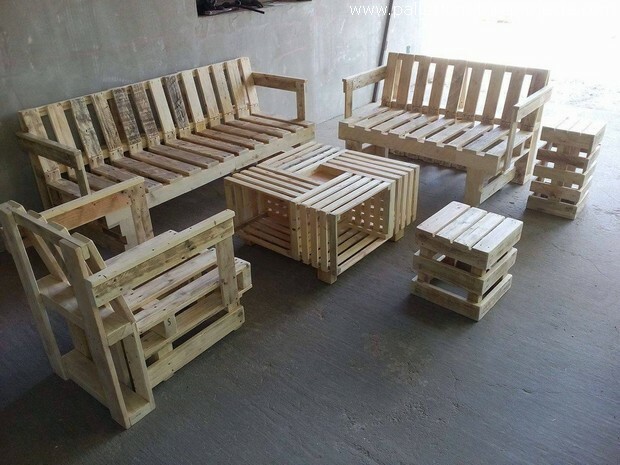 It has got a six seater wooden pallet couch with quite spacious seats, plus the coffee table is having an exclusive pattern, but the wooden stools are just kept too simple so that all project doesn’t get messy and tiring. This lavish home décor didn’t lack anything financially atleats, but just to give it a designers and artistic touch we intended to introduce some wood pallet creations in the shape of wood pallet planters. And I think the idea really worked greatly and the creations of wood pallet really dominated the whole scene outright. And here comes a decent and rustic pallet wood repurposed dining table that can best be used commercially due to certain shape that we have maintained here. 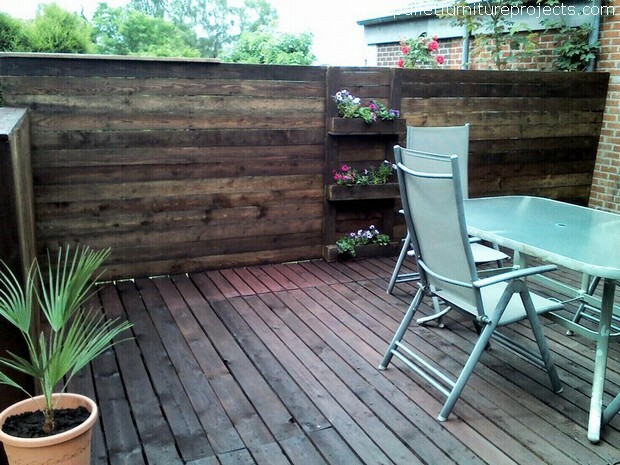 It has also got the provisions or spaces to be used as built in pallet wood planters. 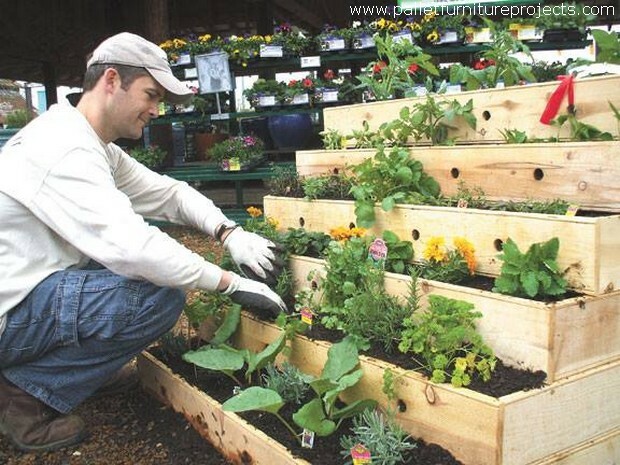 If you ask me that why would I need a full fledge separate wood pallet herb garden? The answer is that I just need a number of herbs in my homemade recipes that I can’t share right now. But the best substitute that I have got is the wooden pallet repurposed herb garden. Even in countryside structures the use of wood pallet inspirations is just getting trendy. People are getting inclined towards this art as it is more economical, easy and versatile. Just look at this large wooden stair connected to a high compartment. 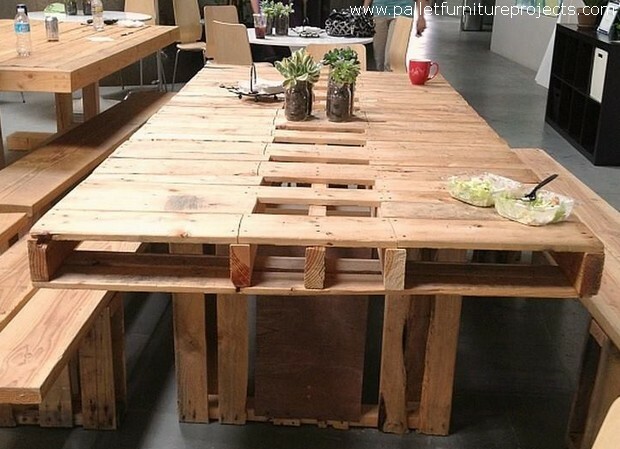 A genius wood pallet inspiration simply. These classic wood pallet recycled headboards are just commendable. Done all with some fancy carving on them which is certainly a tricky and technical part and can’t be done with prior expertise. But the rest of the structure is also praise worthy. 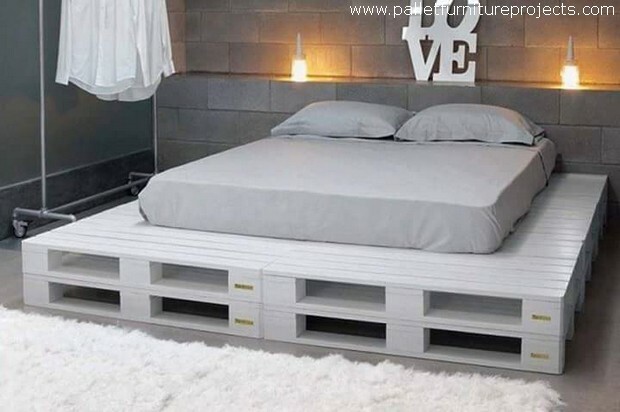 And finally this room seems to be dedicated to some pallet wooden creations apparently as we can see a large wooden pallet bed with a huge headboard. Plus the side tables also made with the same timber are yelling out loud that if you are an art loving person, you must consider the wood pallet and give it a try.